The Magic Door Should Not Be Televised - who is nicka smith? Think you need a Harvard professor and his team of researchers to find your ancestors and put together your “Book of Life?” Think again. Featured Image: love. hate. (puerto rico) by ns2 photography. This week’s episode of Finding Your Roots has spawned a lot of interest online, in particular, the African American community. The PR team has done a great job of increasing interest with appearances on CBS This Morning, a feature in the Los Angeles Times, and the release of emotional video clips such as the one featuring hip hop legend Nas seeing the bill of sale of his formerly enslaved ancestor, Pochahontas. In light of all the sharing and commenting I’ve seen on social media, specifically in reference to the Nas clip and the research findings presented for Angela Bassett and Valerie Jarrett, I’ve noted some of my responses or thoughts about what I’ve been reading from viewers. It seems as though a “genealogical magic door” exists and that only Dr. Gates and his research team know the has access to it. The reality is all of us have access to the door and have free reign to open it up, walk through it as many times as we want, we just don’t know that we do. Time constraints are likely the most obvious reason why more slave era research for each guest isn’t presented. On the other hand, when one says “I WISH they could find my slave ancestors,” is that person aware of how many ancestors need to be traced in order for all of them to be researched? In a previous post, I spoke about how many ancestors a single person has. If you count up to your 6x great grandparents, that’s 510 individual people. Some of them may have not been enslaved or even were of African descent. Let’s address this honestly. 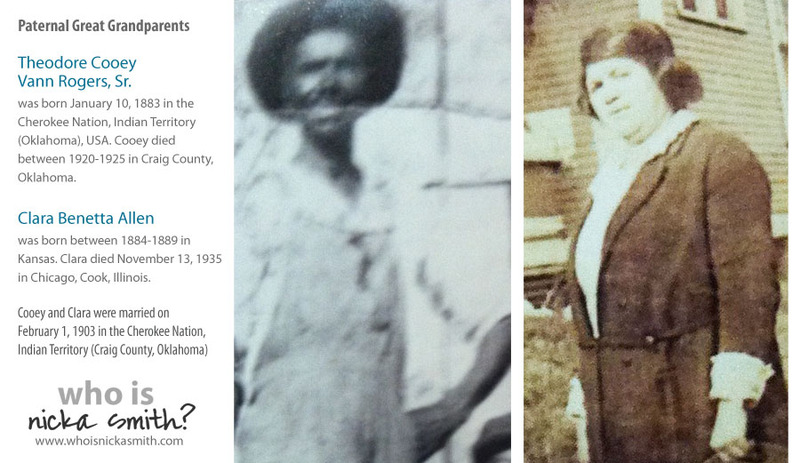 How many of my own slave era ancestors have I been able to trace? 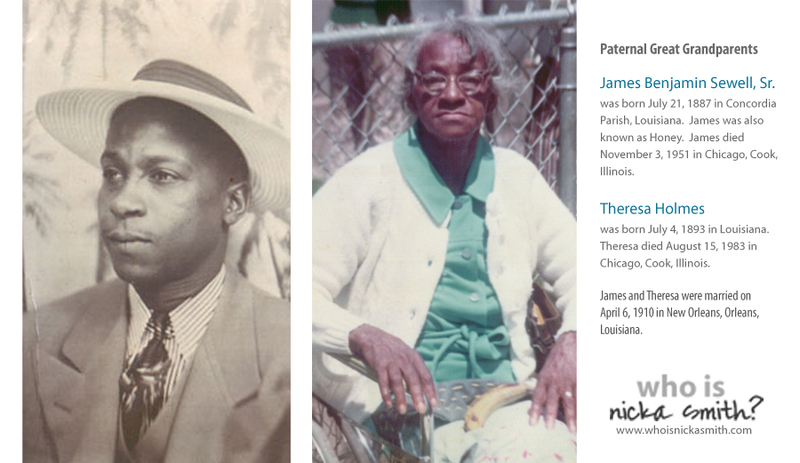 Since most my great grandparents were the children of the formerly enslaved, I’ll cover them from that perspective. #5, two of his grandfathers were of European descent. DNA is leading to ancestorship being William Abel Teague and Isabella Pennington/Loftin, Elisha Estes, John Chisum and Ellender Gillentine, or Jacob Shipman and Sarah Kuykendall. #6, jury still out. #7 – Yes, both maternal and paternal lines; #8 – Yes, for direct maternal line, father is of European descent. I’m not saying that slave era research is impossible…that’s FAR from the truth. On the other hand, when estimates state that as few as 15% of former slaves took the surname of their last slaveholder, it makes gathering clues on former slaveholder MUCH more complicated than just finding the closet living person of European descent with the same surname and assuming they were the former owner or assuming a slave on a slave schedules HAS to be an ancestor when an exhaustive search hasn’t been conducted. 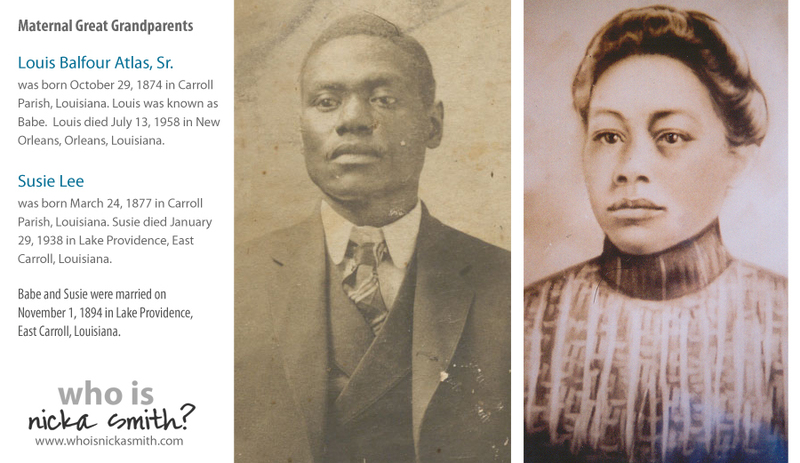 For tips and tricks on how to research your slave era ancestors, take a look at this post. 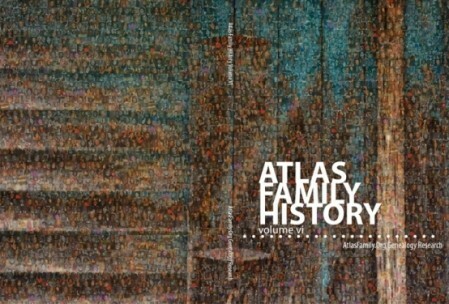 Cover of the latest version of the Atlas Family History, Volume VI. For the last 15 years, I’ve been at the helm of our family research team. For more than the last 30 years, we’ve had family members actively searching, interviewing, and documenting our family history. Our family database is currently over 2,500 people (living and dead) and most of the information we’ve found is NOT presented or posted online. (See more about why this is in the next heading). None of us has been trained at Harvard. In fact, not all of us have college degrees, none of us has a degree in history or have been trained as archivists. What we do have is a thirst and a hunger for helping our family develop and nurture our identity. 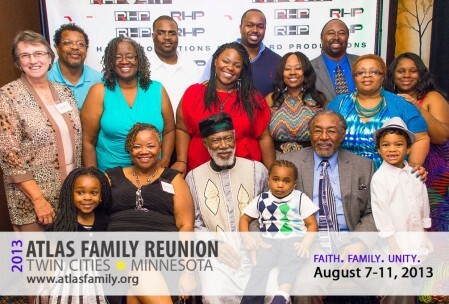 We do this is by spending our time, effort, and resources to find as much as we can on our ancestors and living family members to inform and enrich the collective life of our family. One large way we share this knowledge is by producing a family history book that is updated every two years and includes the genealogical information for those 2,500 people along with photos, documents, the history of the research project and research trips, bios on the team, statistics on the family, and more. While it may not look like the snazzy scrapbook the guests are getting on Finding Your Roots, it is OUR book of life. 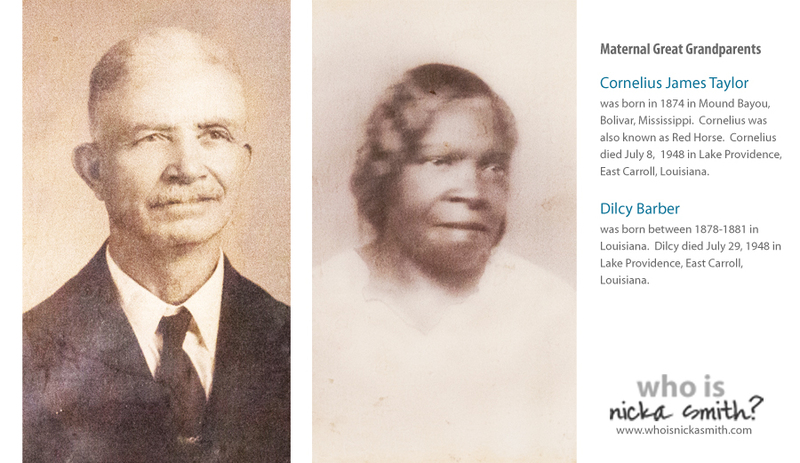 I encourage anyone who is tracing their family history to produce a written product with their research. It doesn’t have to have a specific formula. Get the information off of your computer and into print so that it can be touched, read, discussed, and disseminated and you’re not the only one doing it. When you’re done, submit it to the Family History Library in Salt Lake City so a copy always lives. Many genealogy societies and conferences offer classes on producing family history books. Look up the one closest to you to get some ideas and help. Ever go in to upload a picture for one of your ancestors on your family tree on Ancestry.Com and see this cute notation? Hmm, what’s a “Content Submission Agreement?” Most folks just click through whatever boxes required whenever they sign up for something without a care in the world. But what does that statement REALLY mean? This, my friends, is the price you pay for those little shaking leaves. You have granted Ancestry the right to do what is outlined above with the genealogical information as well as any photos you post of your ancestors to their website. This is regardless of whether your tree is public or private. Remember all those cute ads you’ve seen on Ancestry since the show has started? Or perhaps the commercials they air before and after the show or the mention that they are a sponsor? Because they are, this means that the team of researchers for Finding Your Roots also has access (just like you and I) to the information others have already researched and are posting on their websites and this includes photos. Additionally, they don’t have a special search engine that we don’t have…they likely just have access that we don’t to those private trees and pictures because of the sponsor user agreement. Have you ever done a Google Image search for your areas of interest? It seems pretty obvious, right? Look for your ancestors home town, their Civil War regiment, or perhaps even a photo of them. I’ve found a number of photos used on the show just Googling. – Henry Louis Gates, Jr. Indeed they can be. Anyone who has been doing research long enough can tell you how many family members who have zoned out on them talking about genealogy like a teenager hearing their parents lecture to them about the importance of writing in cursive. LOL! The mystique of Finding Your Roots is the fact that the guests seem intangible; they are people at the highest levels of society who a person would assume would already know the information they are shown, but that’s often not the case. The show indirectly shows us that the lack of knowledge of our ancestry is universal, regardless of your racial designation or economic bracket. On the other hand, the guests intangibleness, and there mere celebrity, also feed into the media machine that is the United States and thus gives the notion that they have access to things “regular people” don’t, which includes being able to trace our own family history or having some ancestor with an incredible story. This is simply not true. It’s all in how you present the information you are given. Any one of these guests could be you or me, but because the crew has been summoned, the lights are on, the cameras are rolling, and people with household names are associated, it appears to mean more. Well said, NIcka. I’ve tracing for family history for 20 years and have not found a magic door. What a wonderful article. Very well written and I love the way that you presented your ancestor’s pictures and information. This is very inspiring. I wish I had more relatives on this search for our family history like you do.